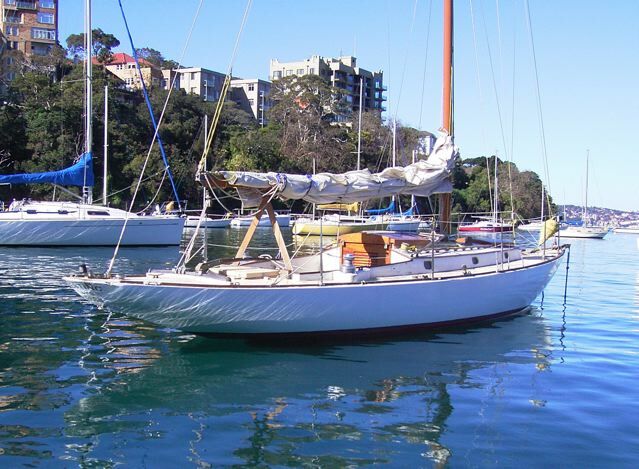 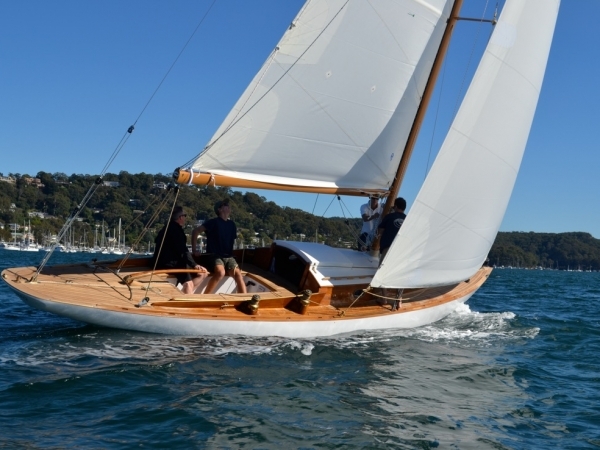 Questing was built in 1949 by Andrew Riddell at the Spit in Middle Harbour. 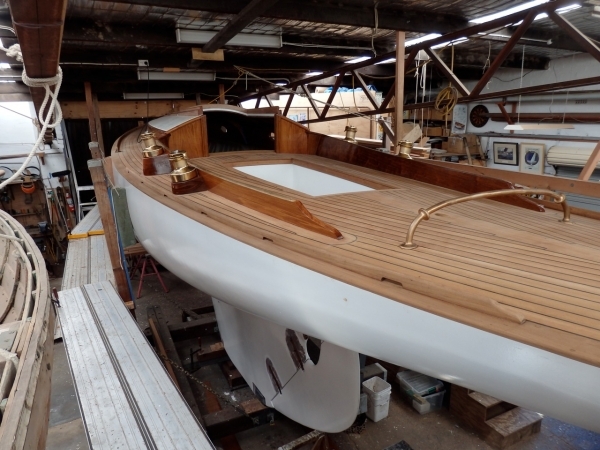 In 1948 Alan Payne designed 35 foot fast cruiser to the order of Dr Ashleigh Davy of Woollahra. 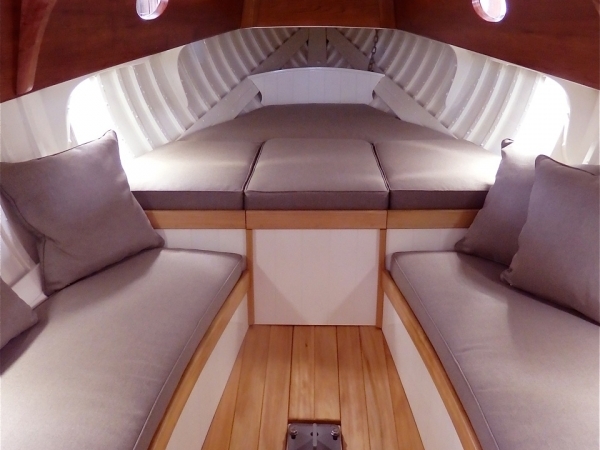 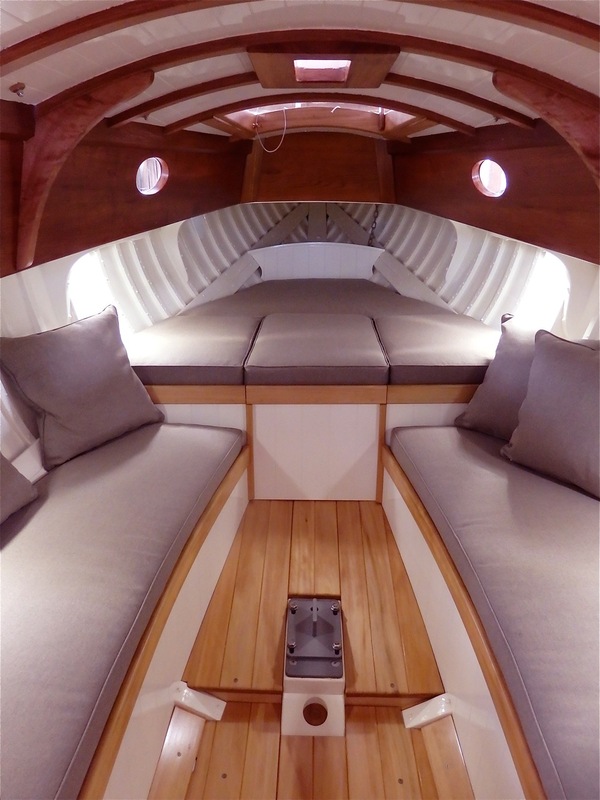 The new boat was designed along the lines of a metre boat, but with family cruising in mind, a cosy cabin with a comfortable fit out and an auxiliary motor. 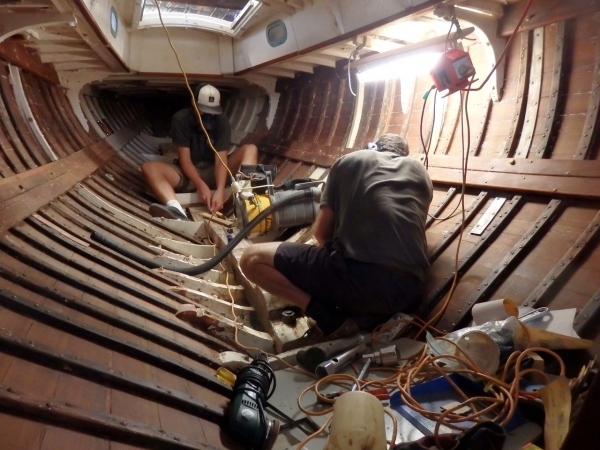 By 2012 Questing was really in need of a major refit. 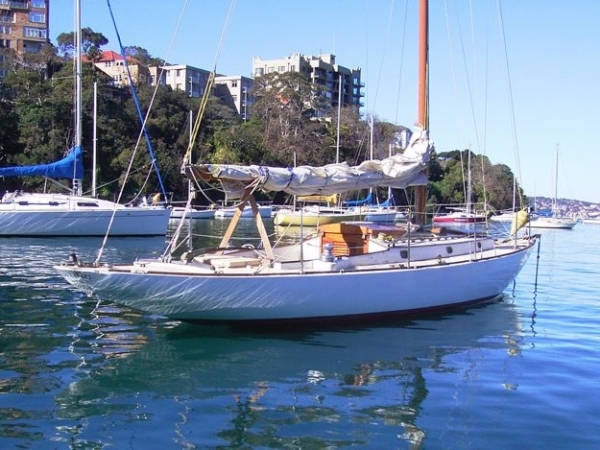 She had provides 63 years of great sailing. 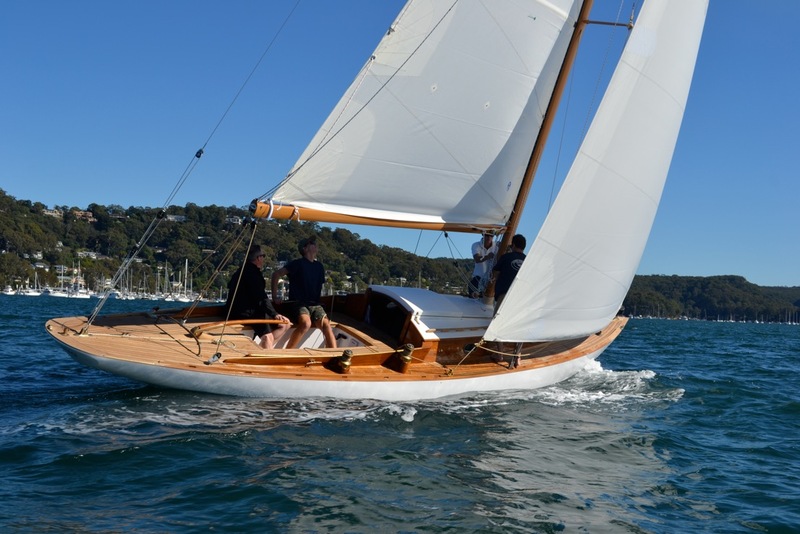 Tom and Simon were well aware of Questing and her pedigree, and were approached by a client who was interested in restoring a six-metre racing yacht similar to Sjo-Ro. 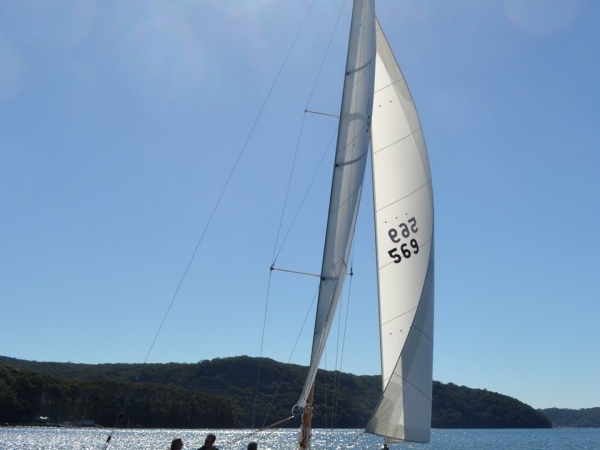 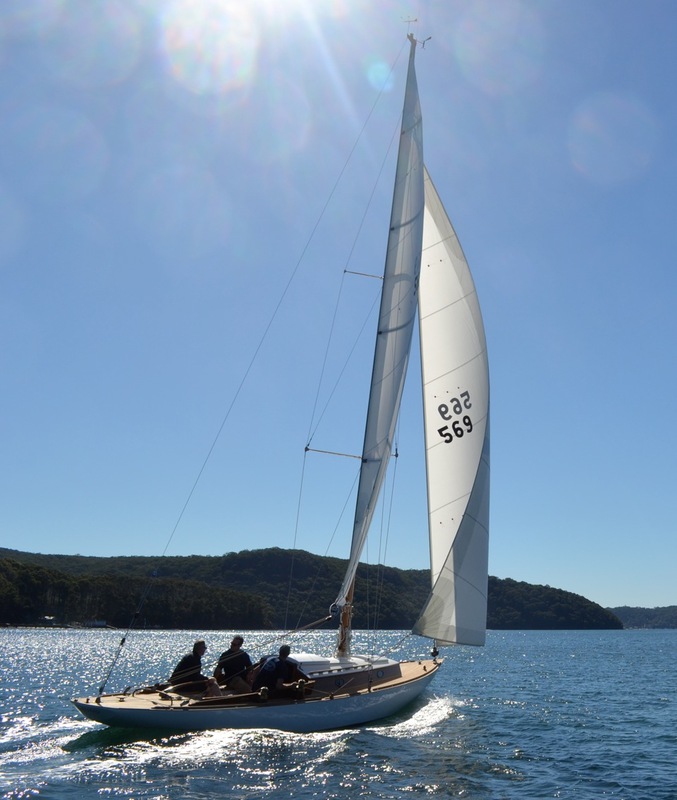 On Tom and Simon’s recommendation the client checked out Questing, she had all the virtues of a six metre with the added bonus of accommodation and an auxiliary motor, perfect for short handed sailing, twilight racing and weekends away up the Hawkesbury with their young family. Once in the shed at Mona Vale the serious work of a major rebuild began. The original full-length Douglas Fir planking was in good condition and only required work at the counter and stem. 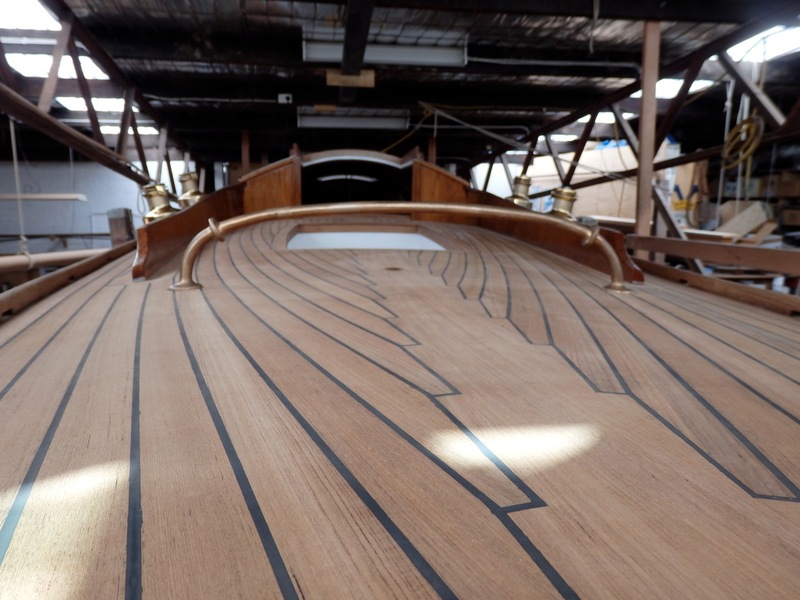  The original spotted gum frames were in very sound condition, and the hull only required refastening where the old roves had corroded on the inside of the hull. 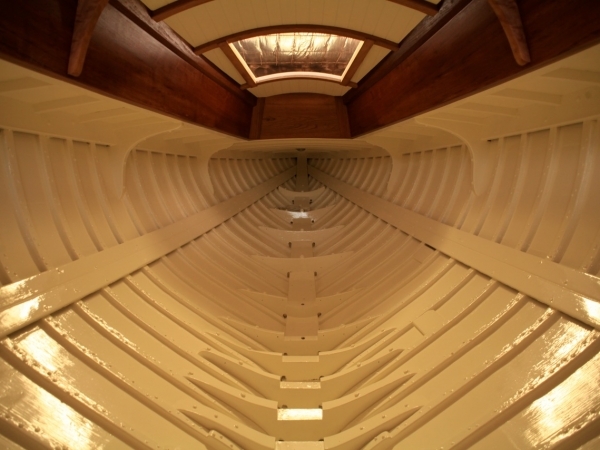 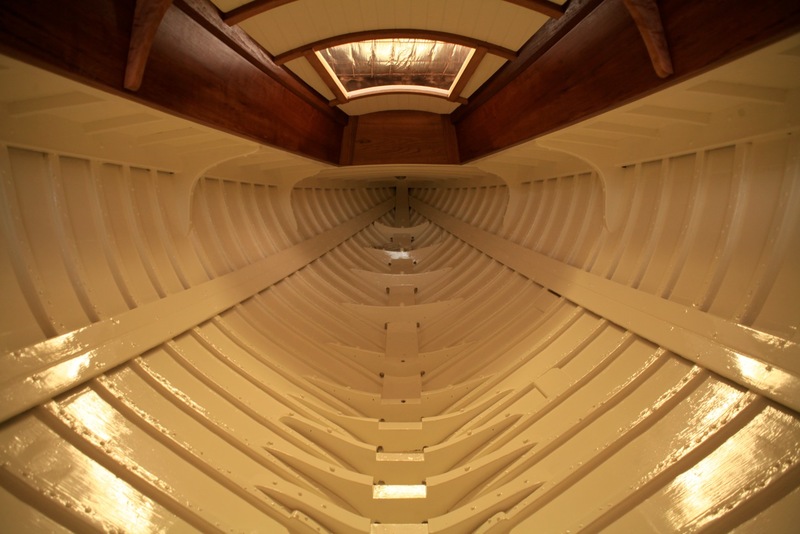 The hull shape was remarkably preserved by having double stringers, and good scantling sizes, thanks to Alan Payne’s good structural detailing. 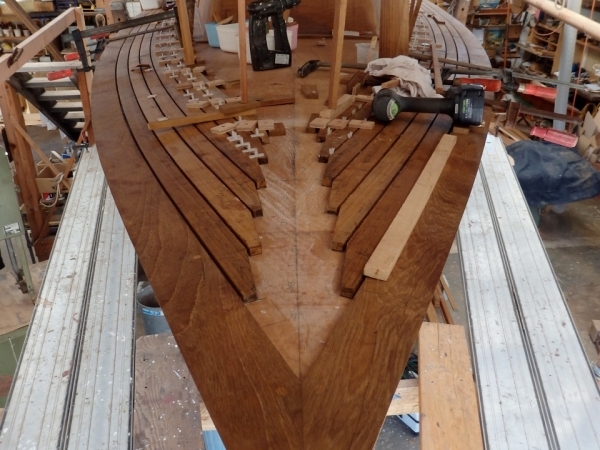 The only weakness were the chain plates being attached only through the planking. 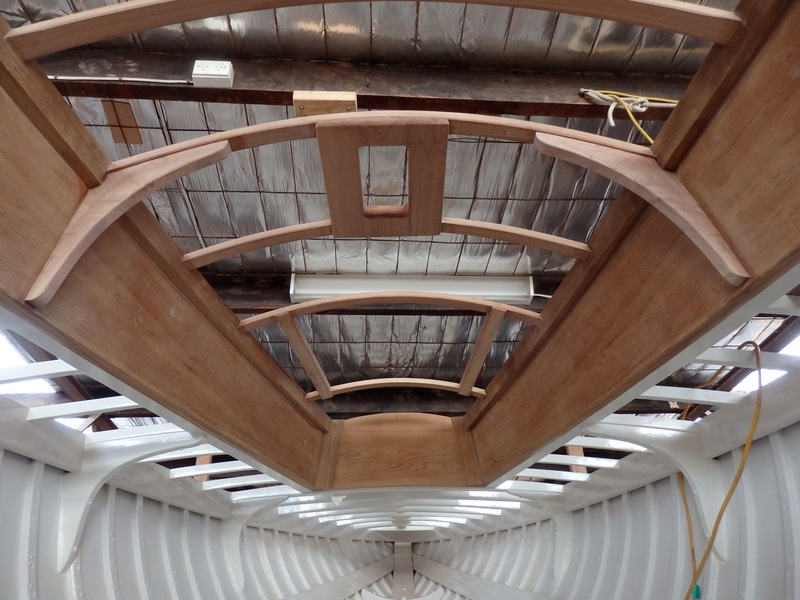 A new laminated ring frame now traverses the hull with bronze chain plates. 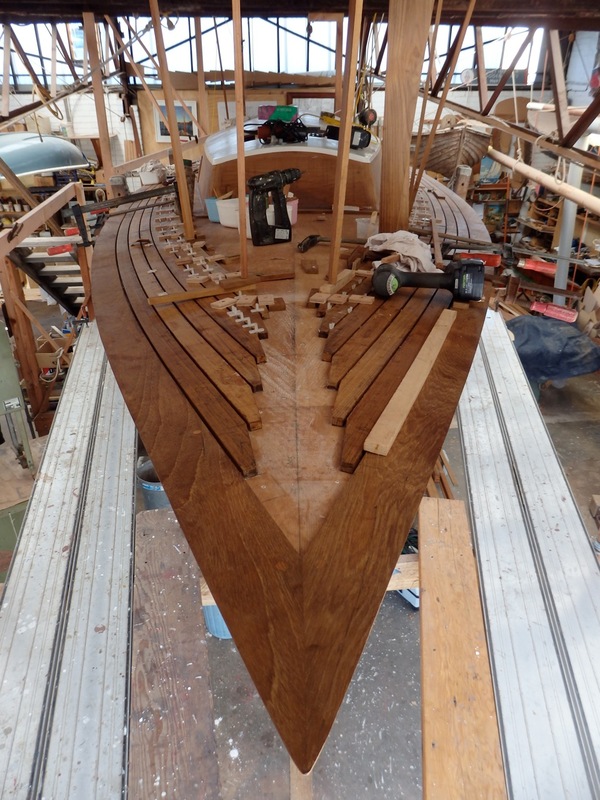 32 frames showed signs of ’fibreing’; distress at the inside of the tight reverse curve to the bilge and were strengthened with extra laminations. New teak cabin sides laminated over the top of the originals before this was removed. 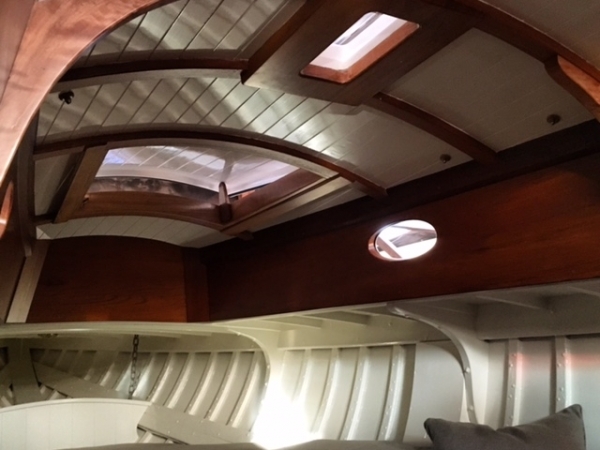 With a discreet extra two inches added to the coach roof sides and increased roof camber, the new interior reflects the original one but is brighter and more spacious. 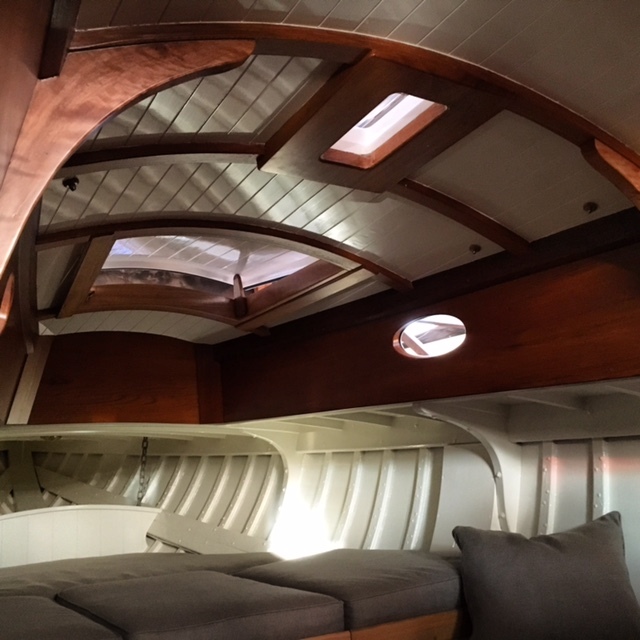 The interior has been optimised to open up the space, provide roomy quarter berths, a galley, sink, settee berths, a new v-berth and W/C. She is due for completion a the end of 2015 and will be ready for a further 63 years of enjoyable classic sailing. 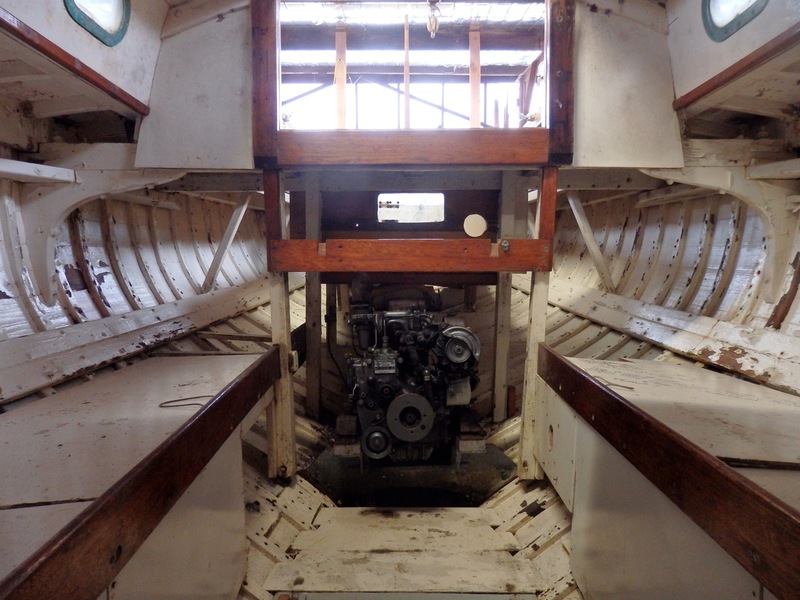 Simon and Tom have a number of classic hulls to match with new owners and already have their next project; they rescued a classic 22 foot Billy Fisher raised deck launch which they plan to refurbish, re-engine and fit a smart wheel house as a fishing day boat and are looking for a client to be involved with this great little boat.